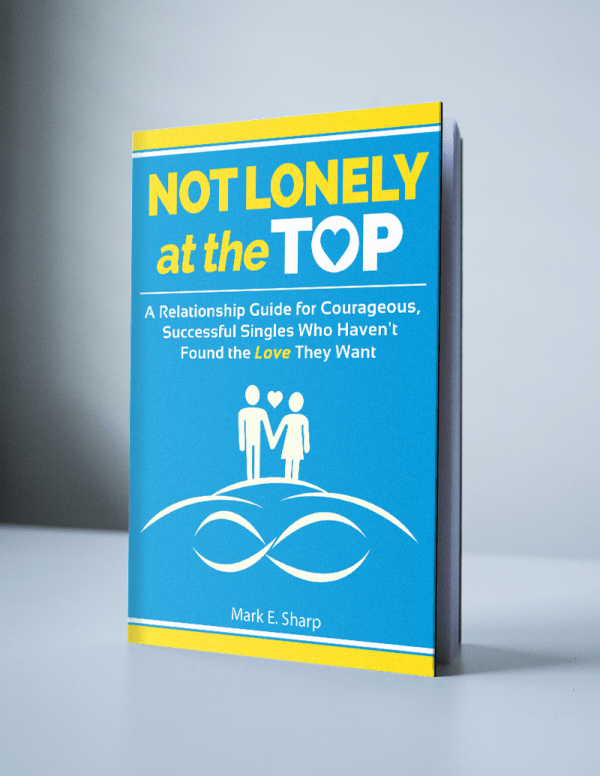 This page includes several resources for use with the book Not Lonely at the Top: A Relationship Guide for Courageous, Successful Singles Who Haven't Found the Love They Want. First are a couple of workbooks for use with the book. There are two versions, word and pdf. I have created a workbook to help you get the most out of the book. There is a lot to think about and work on and this workbook will help you organize that process and keep available the information you need for yourself. Please fill out the form to the right and I will send you an email with the workbook attached. There are two versions, a word version and a pdf version. I will send you both versions. You should use the word version if you are planning on using the workbook in a word processor. It has prompts but just leaves a brief space that you can type in. The formatting is minimal. If you want a physical workbook you can write in by hand and carry around with you, you should use the pdf file and print it out. It has the same prompts as the word format, but includes lines that you can write on. Whichever version you use, I hope you find the workbook useful in your pursuit of the relationship of your dreams.